Budget laptops tread the thin line between tablets and actual laptops and are often relegated to only performing only basic to mid-tier tasks, as they lack the computing power to handle anything more resource-heavy. Here’s a list of laptops you can go for if you’re looking for a cheap, portable computing solution that doesn’t require a lot of processing power. 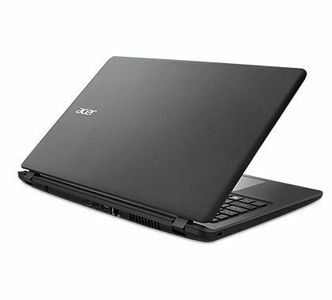 The Acer Aspire E ES1-521 is a must-have for Team Red(AMD) enthusiasts as it is one of the very few laptops that features an AMD processor. It also offers 4GB of RAM and 1TB of hard disk space with a 15.6-inch screen with a resolution of 1336x786 and an easy to use Linux distro which you can pick very easily. 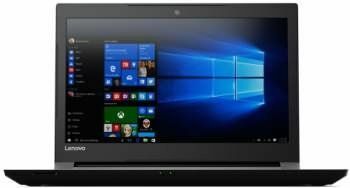 The Lenovo V110-15ISK gives you a decent size 15.6-inch screen with a resolution of 1336x786, along with 1TB of storage, powered by a dual-core Intel processor clocked at 2.1GHz and 4GB of RAM. The hardware is sufficient for most tasks that don’t involve resource-heavy software. The lack of a Windows/Linux based is understandable, considering the features it offers. 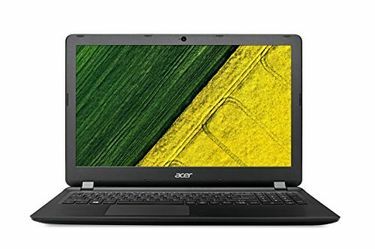 The Acer Aspire ES1-571-P4ZR is ideal for less tech-savvy users who need a machine that starts working right off the bat. It comes with Windows 10 Home 64 Bit pre-installed and is powered by a dual core Intel processor clocked at 1.7GHz, along with 4GB of RAM. The 1TB of hard disk space rounds the laptop up perfectly. 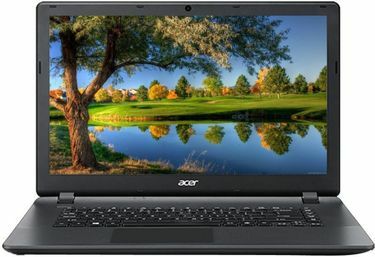 The Acer Aspire-ES1-523 combines the best of both worlds for fans of AMD, featuring pre-installed Windows 10 Home 64 bit and a quad-core AMD processor clocked at 1.4GHz. The 4GB of RAM and 500GB of internal storage, combined with the 15.6-inch screen with a resolution1366x768 and the formidable AMD Radeon R3 GPU allows for some light gaming too. 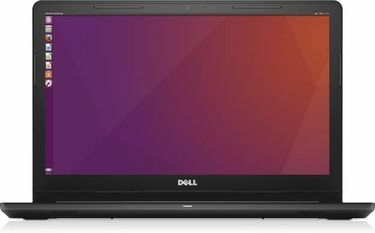 The Dell Inspiron 3565 (A561237UIN9) is an Ubuntu-based laptop powered by a dual core AMD APU clocked at 1.8GHz, along with 4GB of DDR4 RAM. The 15.6-inch display has a resolution of 1366x768 and is powered by AMD Radeon graphics. One of its most notable features is compatibility with 802.11 ac Wi-Fi, a rarity at this price range. Just the essentials. Plus a little more. The Lenovo Ideapad 110 is another DOS-based laptop which offers a 15.6-inch screen with a resolution of 1336x786. It is powered by a quad core Intel processor clocked at 1.6GHz, which can go up to 2.4Ghz, along with 4GB of RAM. The internal storage is 500GB. Like the laptop listed above, the Lenovo Ideapad 100 is also 802.11ac Wi-Fi compatible. 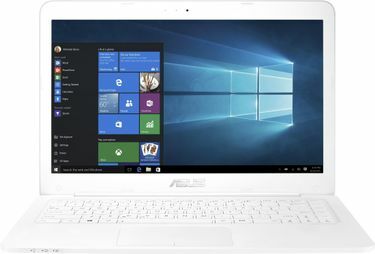 The Asus E402SA-WX014T Laptop treads the thin line between a laptop and a netbook with a 14-inch screen (1366 X 768 resolution). The laptop is powered by an Intel Celeron processor clocked at 1.6GHz along with 2GB of RAM. The memory is a 32GB SSD (Solid State Drive) and comes pre-loaded with the Windows 10 Home 64 bit operating system. 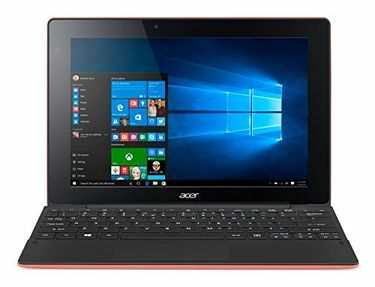 The Acer Switch 10E SW3-016 has everything a person on the go could ask for in a laptop. It is lightweight, weighing only 1.2 kilograms, comes pre-installed with Windows 10 Home on a 32GB Solid State Drive (SSD), which is a huge performance boost for applications. As an added bonus, it can even be used as a tablet. 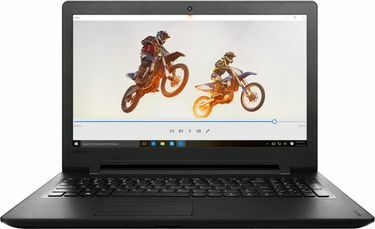 Budget laptops often receive a step-motherly treatment by consumers and manufacturers, as they lack the horsepower to run demanding applications such as Adobe Photoshop effectively. That being said, if your use of a laptop is restricted to text editing or web browsing, a cheap laptop is all you’ll really need to get work done without burning a hole in your pocket.